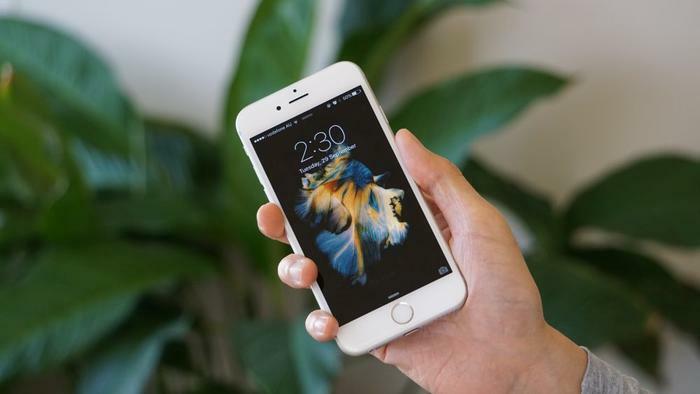 Big changes have been made to Apple’s iPhone 6s. The naked eye will consider this smartphone identical to its predecessor with its eerie, twin-like looks, and yet this generation’s model represents a substantial step forward, from the fabric of its metal body to the computing components that constitute its work-a-holic core. What matters in the 6s is that it feels different. 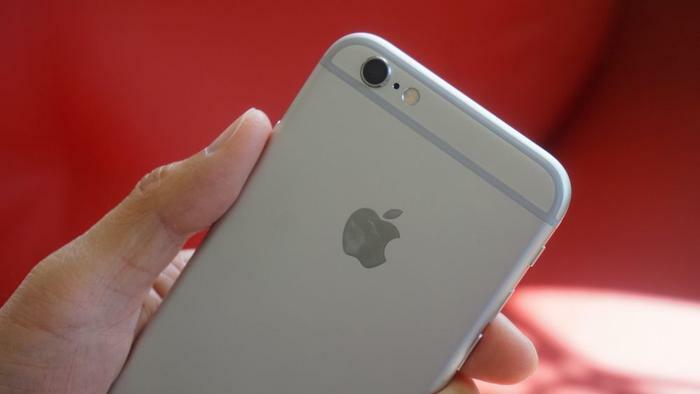 Apple sculpts a whole other grade of aluminium — 7000 series aluminium — to the familiar shape introduced by the iPhone 6. In the hand, it feels less slippery and more coarse, the difference in its texture inspiring confidence in the quality of its build. The 6s is meant to be more durable. The use of 7000 series aluminium is intended to put an end to the bendgate fiasco that dampened the launch of the 6 Plus. Then there’s the revised glass used to protect the display, which undergoes two ion-exchange chemical baths, in a process that Apple claims makes it “the most durable in the smartphone industry”. It’s still thin at 7mm and its body continues to blend in seamlessly with the front glass, although the 6s will wear fewer scuffs and scratches. This year’s model weighs 14 grams more at 143 grams, but the increase is not owed to the use of tougher materials; it has to do with the headlining feature. Apple calls it 3D Touch, and in the most basic of understandings, it means the 6s recognises pressure as a gesture. The technical ability for a capacitive smartphone to recognise pressure is one thing. How Apple makes use of this gesture is where the genius lies, with 3D Touch bearing far reaching implications. Press down with force on an icon and a sub-menu with shortcuts will populate. This ‘push’ gesture is intended to reduce the number of swipes it takes to access a particular feature. One gesture, fewer swipes. The concept is processed a couple of steps further. A firm press within an application generates a preview, a floating window that offers a glance at the next part of the menu. Apply more force and the preview will ‘pop’ into full-screen mode. 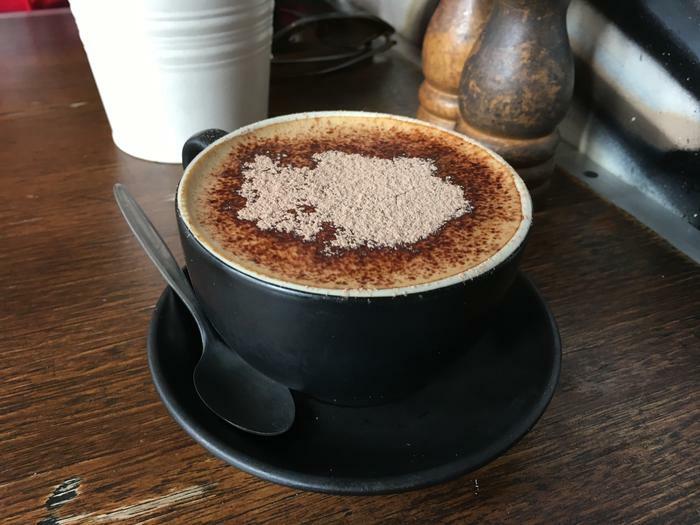 This gesture comes in handy when sifting through messages and emails; browsing photo thumbnails; and having a peek at the songs in an artist’s album, to name but a few examples. The most significant implementation of 3D Touch has to do with how it ties all of a smartphone’s apps together. Apple's home screen is littered with applications that work entirely on their own. A lingo of swipes is needed to jump from one app to the next. These applications all work within isolation of one another. 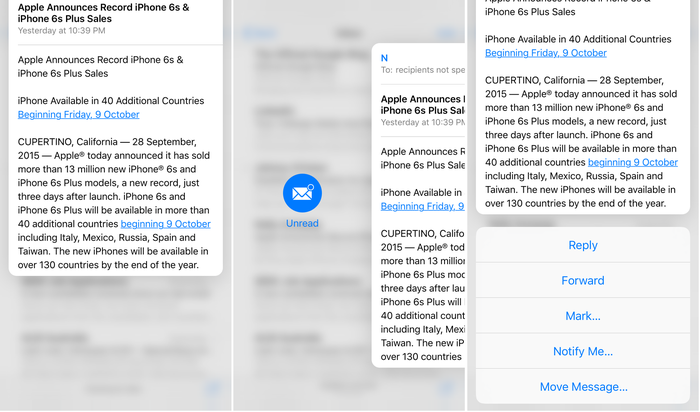 3D Touch changes the way applications work by making them work together. Enacting the ‘push’ gesture in one application will often launch the functionality of another app within a floating window. Try pressing an address listed on a webpage in Safari and it’ll intuitively cue navigation directions in the Map app. There’s no longer a need to copy the address, exit Safari, open Maps and then paste the address. Apple’s clever software will anticipate your needs and present them on cue with the single press of a touchscreen. 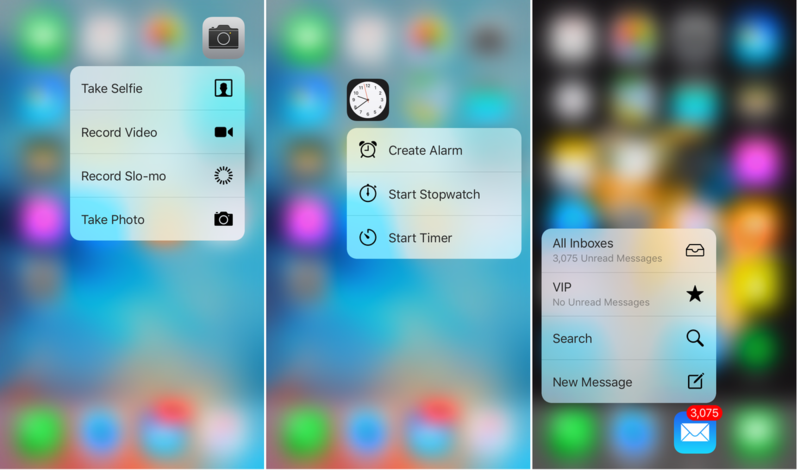 Apple's operating system, iOS 9, is versed in 3D Touch shortcuts. 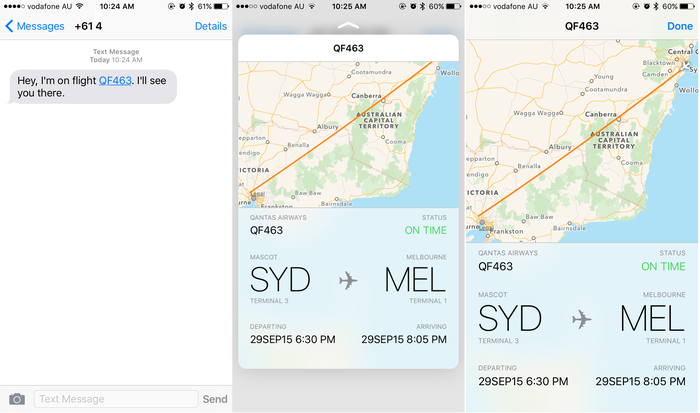 Apply the gesture to a flight number in a text message and it’ll generate its flightpath, complete with departure and arrival times, and with a map that can be zoomed in on and panned. A firm press on an email in your inbox will populate it in a floating window, granting a peek into its contents, and then making it possible to do a number of things depending on how the gesture is finished. Finishing the gesture with an upwards swipe populates options, such as replying or forwarding the email. Gesturing left archives the email, while gesturing right marks it as unread. The real accomplishment here is the way in which Apple has hardwired frayed apps into iOS’ DNA, creating a truly unified operating system. Applications now shortcut into one another so that you and I rarely need to swipe back. This is a feature that will continue to improve over time. Developers are already working on ways to integrate the gesture into their apps in a move that appears threatening to rivalling platforms from Microsoft and Google. Display technologies beyond 3D Touch have stagnated. The screen still spans 4.7-inches, has a 1334x750 resolution and packs 326 pixels into each inch. These specifications are all on par with the iPhone 6. And that is absolutely fine. The numbers still add up to a decent sized screen capable of presenting images in clarity. Setting it apart from its resolution-rich rivals is the way its ambient light sensor works. Exercising restraint in the specs department means the iPhone 6s can boast excellent levels of brightness at all hours. Another milestone is achieved by iPhone 6s. It is the first in four years to have higher resolution cameras. The front camera has increased to 5-megapixels and, unlike Motorola’s Moto X Style, which employs an LED flash, the iPhone 6s uses its screen to generate enough light for a selfie. It works well by identifying a scene’s ambient lighting and then by flashing just the right colour for the occasion. Big numbers fill the spec sheet of the primary cameras. Photos are captured at 12 megapixels and it’ll record videos in the nascent ultra high definition standard. Apple’s camera interface remains simple enough to capture panoramic photos 63-megapixels in size and captivating slow motion video at 240 frames per second. Overall camera performance impresses with bold colours, a wide dynamic range and a knack for detail. Photos are laden with a picturesque finish and image noise is kept to a minimum, unless photos are blown right up to their native 12-megapixel resolution. The lack of optical image stabilisation hurts the primary camera against the Samsung Galaxy S6, and more detail could be captured with a higher resolution camera, but the differences aren’t nearly enough to sway people away from Apple’s camp. Among the headlining features of the 6s series is 'Live Photos'. This is a shooting mode automatically enabled and its success varies wildly. It works by sandwiching a photo with 1.5 seconds of video on either side. The result is a photo framed by a glimpse of what happened directly before and after the shutter key was pressed. Certain moments are enriched by live photos, particularly those of a giggling baby or action shots. Encasing still photos with a snippet of video imbues them with vitality and an effervescent quality; they somehow come alive. Other situations deem the additive a gimmick. Taking a group selfie will reveal the awkward moments people huddle together, wear a smile and then take it off. Here, an ordinary photo is a lot like a magic trick; it’s better not knowing how it happens. Significant hardware improvements have been made in order to make way for intensive features, such as 4K video. Its home-grown A9 processor and M9 co-processor are coupled with double the RAM at 2GB and a 4G modem compatible with Cat6 networks. No Apple iPhone supports expandable storage, which means the iPhone you buy will come in fixed capacities of 16GB, 64GB and 128GB. People keen on recording crisp 4K video best opt for the larger variants. 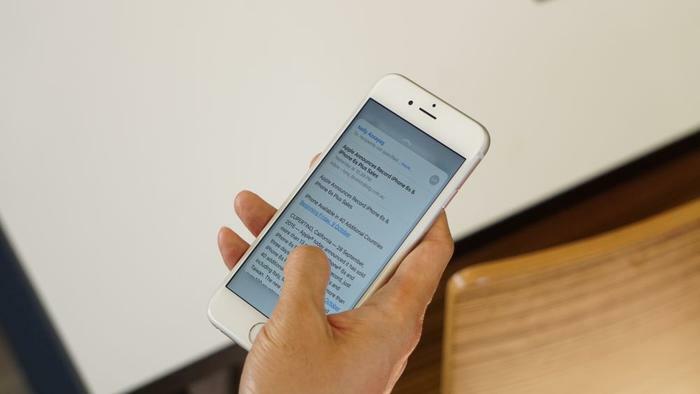 Running 3D Marks software revealed the iPhone 6s is one of the most powerful smartphones available. In the ice storm unlimited benchmarking test, it was awarded a maximum score of 28,348, which is greater than the scores achieved by Sony’s Xperia Z3 (18,841), LG’s G4 (18,862), Motorola’s Moto X Style (19,509), HTC's One M9 (21,123) and Samsung’s Galaxy S6 Edge (22,248). Apple’s flagship smartphone remains the choice for globetrotters as it supports up to 23 LTE bands, “the most in any smartphone", claims the company. It works with Voice-over LTE (VoLTE) networks for high definition voice calls over a 4G network and its Cat6 LTE makes it theoretically possible to download at speeds of 300Mbps. 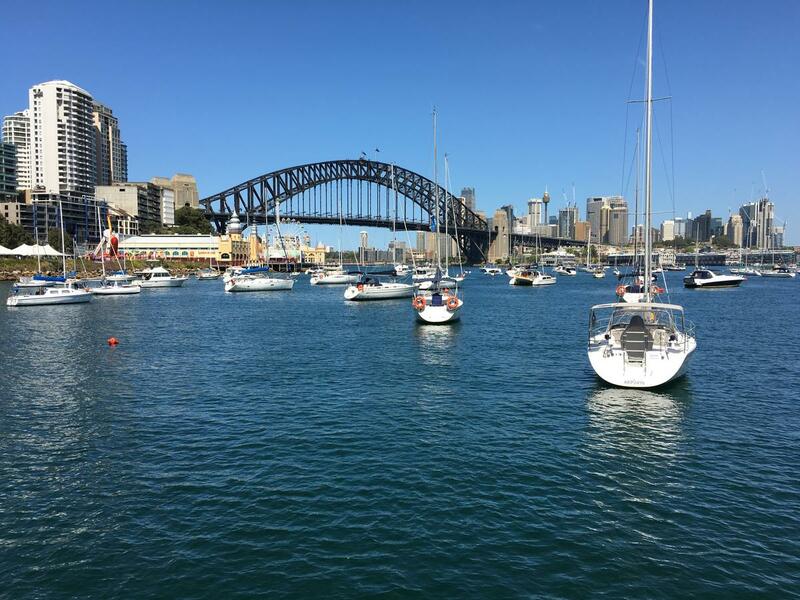 We performed speed tests using Ookla’s iOS app in our North Sydney offices. Fast download speeds of 38.4Mbps and upload speeds of 37.2Mbps were achieved on Vodafone’s network. Whereas rival companies increase battery capacity with each generation, Apple continues its streak of making the battery smaller, focussing instead on improving its economy. An iFixit teardown reveals the iPhone 6s battery is 5 per cent smaller at 1715 milliamps-hour, with the decrease in size helping Apple keep the iPhone’s size and weight down. The resulting battery life is enough for moderate smartphone users with the iPhone 6s lasting 22 hours on average before needing a charge. 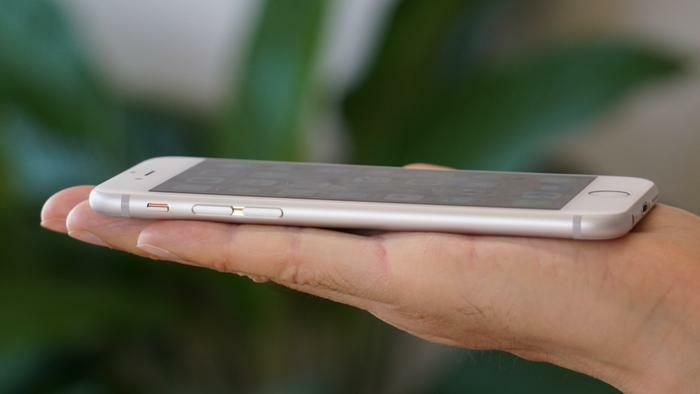 Every part of the iPhone 6s is brand new, other than its timeless good-looks. Improvements have been made to its construction, software, hardware, usability and imaging technologies. To consider it an incremental upgrade is incorrect. The iPhone 6 was Apple’s starting point; the 6s is an iPhone perfected.